And the Award Goes to … Who Cares? Before getting into an overview of the awards season in general, let’s get the elephant out the room that is the disappointing Oscar show Sunday night. In fact, bringing an elephant on stage for a few minutes would have been just as effective, if not more entertaining, than pulling out Anne Hathaway and James Franco as co-hosts for a three-hour telecast supposedly in a shameless attempt to nab “younger viewers.” Not that the two are not talented, affable young actors. And not that Hathaway didn’t give it her all because undeniably she was hard-working and enthusiastic, taking her hosting duties seriously. Unfortunately, she may have been trying too hard, too perky, to Franco’s sedate persona. When they announced that Franco would be co-hosting, I thought, why would he do that? That so doesn’t seem to fit his personality, let alone his busy college and acting schedule. Apparently, somewhere between the offer, the pushing by “his people” to accept the offer, and the big night, he must have had the same thoughts too, and it showed. You really got the sense that he didn’t want to be there. In fact, you got the sense that he probably wouldn’t have even been the type to watch the show on TV under normal circumstances. But I don’t blame Hathaway and Franco (completely); the show’s lackluster outcome really falls on the shoulders of the overall concept and production, and the boredom that was the predictability of every major category outcome. If you want a younger audience, that’s fine, but you don’t just pull out two young actors as hosts, give them scripted banter, and think that’s the solution. Young, middle-aged or mature, the show needs a comedian to move it along, with wit and a sense of spontaneity. And comedian does not necessarily have to translate into a controversial, mean-spirited Ricky Gervaise (love him), a la this year’s Golden Globes. You also don’t pull out an aging and ailing Kirk Douglas to present one of the first awards, or refer to “Old Hollywood” and the first Oscar show all night long. When there was an opportunity to salute truly noteworthy veterans, in the form of Francis Ford Coppola, Jean Luc Godard, etc., they were just given a quick mention and a quick bow on stage. More time was given to Anne Hathaway’s song, which had nothing to do with anything. What this show needed most was for the Academy to not take itself so seriously. Really, you’re making movies, which is creatively significant, but not saving lives, so allow yourself to take some humorous hits. Next, I would have suggested the producing or directing talents of a young someone like Spike Jonze, an indie filmmaker and music video director who seems to respect Hollywood, but is also imbued with creativity and innovation. He, or someone of his rank, would have brought a sense of humor, style and appropriate pacing to the production. The Oscars are supposed to be the grand finale of the film awards season, with many, many others preceding it. 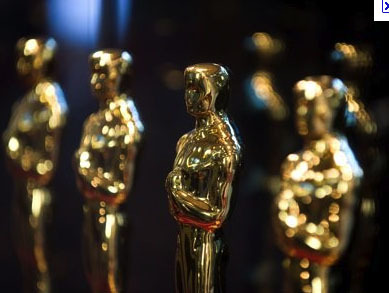 The reality is that by the time you’ve gotten through the other award shows (not necessarily watching all, but just hearing the results and seeing highlights), the Oscars just come across as more of the same, with a bigger budget. It’s the same film clips, the same nominees, the same award-weary winners and the same speeches, except for Supporting Actress winner, Melissa Leo who seemed disingenuously surprised by her win, with a contrived speech that contained an equally contrived, not so funny “f” bomb. Just because the dresses get shinier and the hair bigger doesn’t make it more exciting or entertaining. It’s a shame that the voters feel they have to go along with the expected winners from previous shows. I may be biased because for me, Black Swan was one of the worst, most over-rated films of the year, but how great would it have been if you at least felt it wasn’t a lock for say, Natalie Portman, or it was a dead heat between The King’s Speech and The Social Network? Well, that’s probably too much to expect from the Oscars, but what happened to the usual edginess of the IFC Spirit Awards? This year, the Spirit Awards turned out to be just a slightly funnier, more casual version of the Oscars, with the foreign film honors actually going to The King’s Speech – a great movie, but is it independent, is it foreign? Even director Tom Hooper seemed surprised, almost insulted by the honor. Here’s an award outlet with the opportunity—no the obligation—to stand up for the little guy in more than just little known categories, and they blew it. Long gone are the days of a naked man blazing past David Niven’s presentation, or Marlon Brando’s living, breathing Native American political statement to accept, or not accept, his award. What’s the solution? Maybe broadcasting fewer award shows, less Hollywood politics, tone down the hype, or maybe the Oscars should just be on in the second week of January instead of the last week in February.